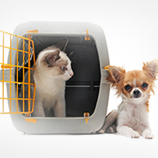 We at Parkview Pet Center understand that moving your furry friends can be very stressful, complicated and confusing. We offer a safe and personal service for your loved ones. 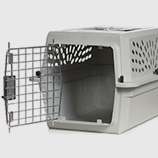 We focus on each pet specific need before shipping and upon arrival. The safety of your pet comes first and is our top priority. Through our experience and love of animals we can assure you that your pet is in good hands. We encourage our clients to purchase the approved kennels as early as possible and allow pets as much time as necessary to become accustomed and feel secure and comfortable in it. 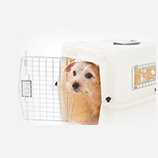 This will make the actual travel process less stressful for your pet. Our door to door service is a complete package, we will arrange all export documentation, arrange flight, help with last vet checks, delivery to airport and custom clearance. We will have an agent ready for your pet at the arrival destination. They will take care of Import documents, custom clearance and delivery to your residence. We can arrange all required documentation for both import and export. We are able to assist with pick-up and delivery to/from the airport. We can arrange boarding for your pet if required. They will be staying with us at Parkview Pet Center and will be cared for by our trained kennel assistants. We can arrange a grooming appointment for your pet upon arrival before delivery to your residence if required. Upon arrival your pet will receive a vet check to insure that he/she is in good health after travel. We had Blondie (our family dog) in a kennel for two month in the process of moving from Qatar to Dubai. The last period of time we moved out of the country and could not visit her anymore. Before that Juanita from Parkview Pet Center took her time to come along with us one day to introduce herself to Blondie. The aim was that on the day Blondie had to be flown from Qatar to Dubai, Juanita would be there with her. The flying part was scary for Blondie and furthermore it was Ramadan; worst case scenario that she would have been left for a major part of the day until breakfast in the arrival airport. However, that did not happen. Juanita and her crew from Parkview Pet Center made sure that she was off first thing early morning. This event demanded some paper works of import and export papers and communication between various parties. All of that was sorted out by Parkview pet center in a splendid way: No delays, no misunderstandings; everything went smooth. Thank you Juanita and thank you Parkview Pet Center. I have used Park View Pet Centre to obtain 2 pet imports and found the service to be excellent. Juanita in particular was extremely friendly and helpful and obtaining import permits through PVPC has been significantly easier than through other local vets. I will continue to use PVPC, they are staffed by friendly, knowledgeable and professional people making the whole experience so super simple." Every year I travel with my little Lhasa Apso Mr. Noodles from Qatar to the Netherlands. And every year it is from the utmost importance to have all necessary papers in order to organise relaxed flights for both me and my dog. Two weeks before leaving the Netherlands I took care of the Dutch paperwork, while Juanita from Parkview organized the import permit for my entree with the dog in Qatar. It is such a delight to find Parkview Pets with the import permit waiting for me and escorting me and Noodles through customs. What a great way to start another year in Qatar! I would like to take this opportunity to thank you for the excellent service you provided to help us transport Mishka to France in the summer. Leaving the country is a stressful enough experience at the best of times, but when you add in the need to get your beloved pet through the airport as well, it can become a nightmare. Park View dealt with all the paperwork (including taking Mishka yourself to the government vet when required) and so we turned up at the airport with a file containing all the correct documents and a lot of the anxiety removed. On our return, once again you eased the pressure by meeting us at the airport and driving us home. The Park View Relocation service is excellent and I would thoroughly recommend it to anybody planning to leave the country with their pet. I am happy to tell you that we had absolutely no difficulties at all passing through the emigration and immigration.. Everything went very smoothly as we had all the required documents. Tommy didn't have a tough time either in his carrier… perfectly suiting his size. So altogether we were really relieved!! :) Thanks to you for arranging it all… We would definitely be having a tough time without your service ! I thought It was extremely effective and stress-free. You provided me with a one stop shop and the entire relocation of the 3 animals went without a single glitch. They arrived in great condition when they were collected in the UK. On top of that all the staff at Parkview were extremely helpful and pleasant. 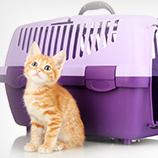 I was really happy with the relocation service our cat received from Doha to the UK. The staff at Parkview organised everything and I didn’t have to worry about anything. We also used the boarding facilities and my cat Parker was well cared for during his stay. Thank you to all the staff! We used Parkview’s service to transport our two domestic cats to Cairo in May 2014. Maria was not only super helpful but really quick in answering our questions. Given that there aren’t many people transporting their pets to Egypt, and that the procedure wasn’t entirely clear, she worked to make things as easy as possible for anxious us! The process could not have gone smoother and I rest assured that at the end of the year when we return to Doha – with the help of Parkview – it will be a seamless journey back to Qatar.